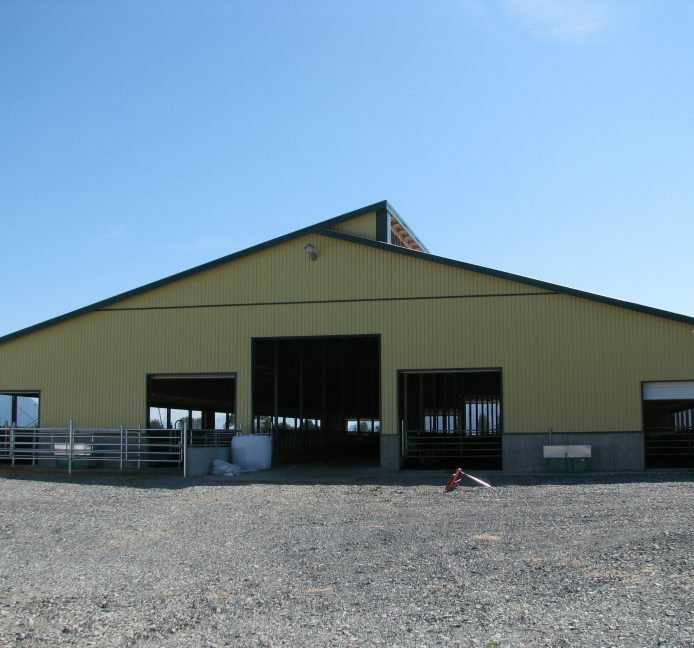 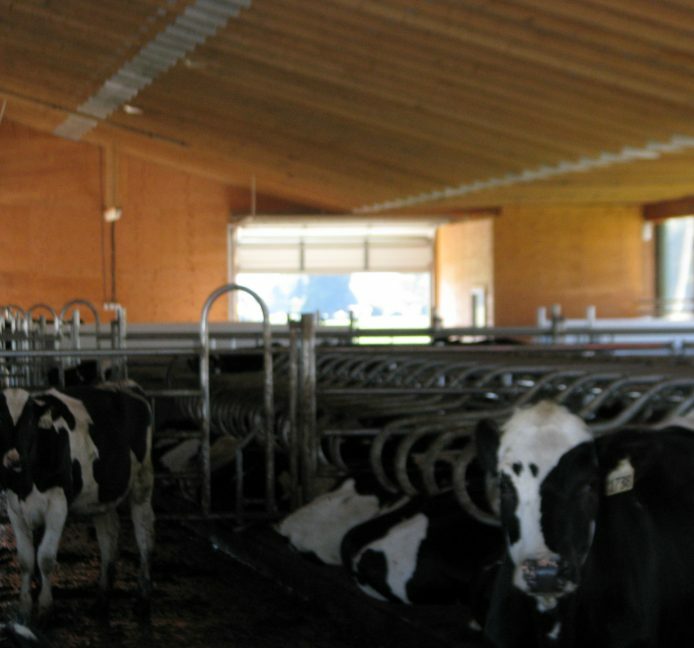 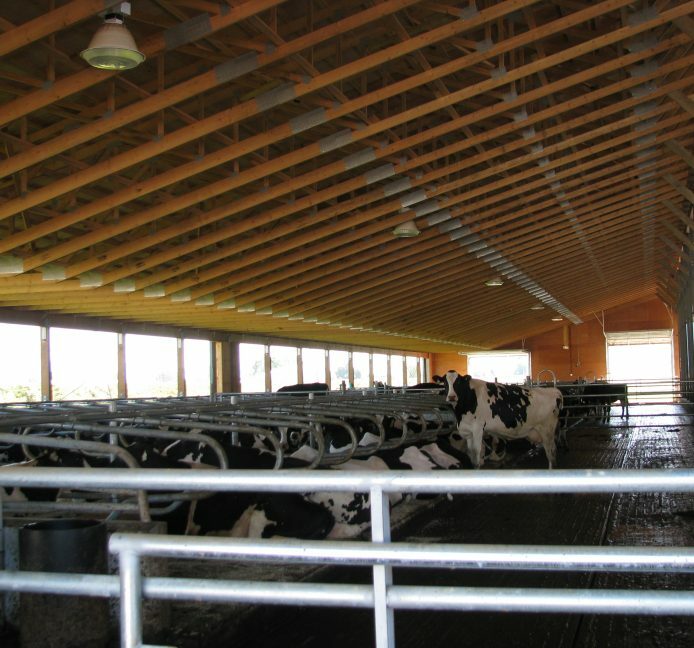 Rising Structures was called out to Matsqui, BC to build this large 6 rows dairy barn with 200+ stalls and automatic manure scraper. 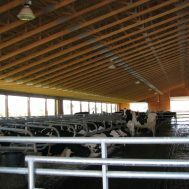 Comfort stalls supplied by United Argri. 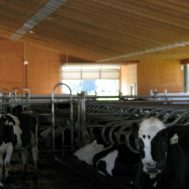 Stalls, gates, water troughs, and alley scrapers supplied by Mid valley manufacturing.